The Paulist Fathers wish you and your loved ones a very blessed and happy Thanksgiving! Do you need a prayer for your Thanksgiving dinner table? we turn to you the giver. willing to share with others. may we live with them in peace. when we are in troubled times. and speak our truth with charity. and be life-giving to each other. and continue to sustain us. and to be at peace with each other. which is the law of love. Paulist Fr. Frank Desiderio is first consulter (chief advisor) to the president of the Paulist Fathers. 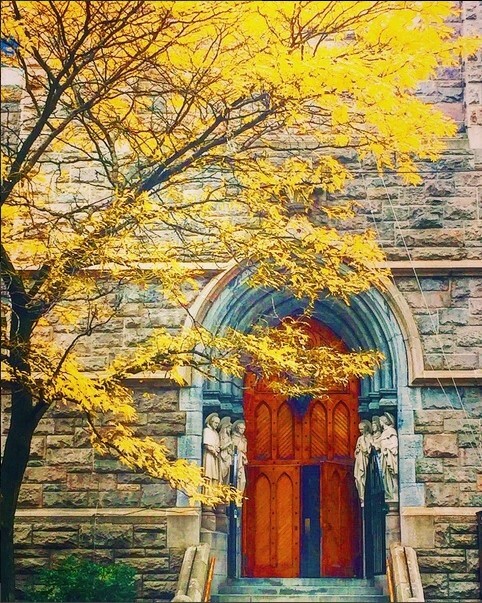 The photo above is an “Autumn in New York” look at the north tower of our mother church, the Church of St. Paul the Apostle, in New York City. The image was captured by St. Paul’s parishioner and choir member Jeanne Bossé.